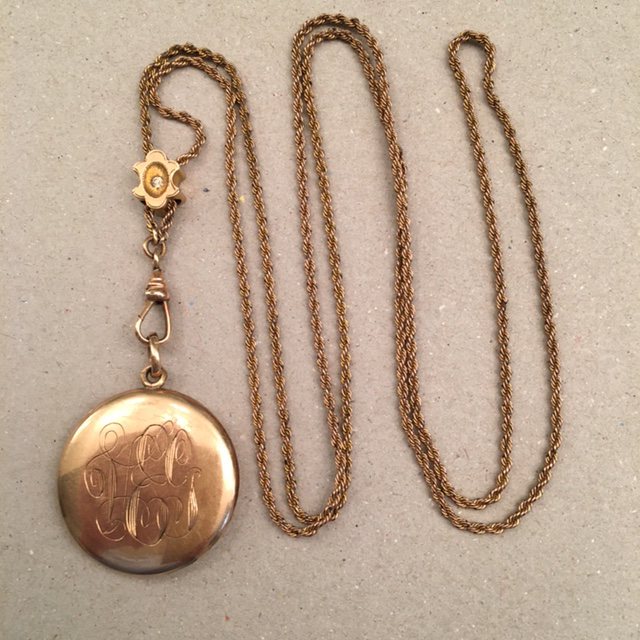 VICTORIAN sterling locket and collar with gold overlay in rose gold roses with lines and yellow gold leaves, a lovely and unusual design on the locket, circa 1880s. 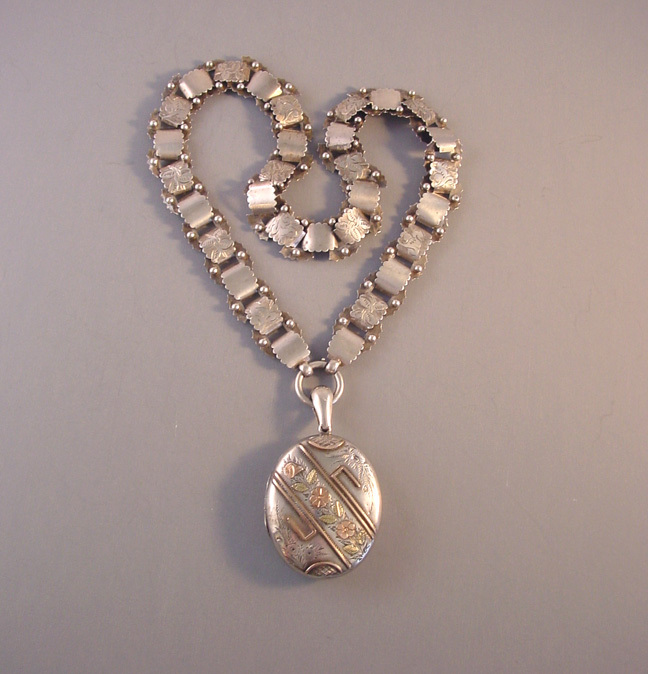 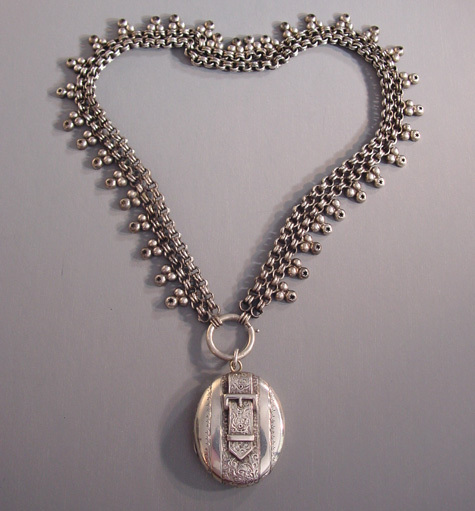 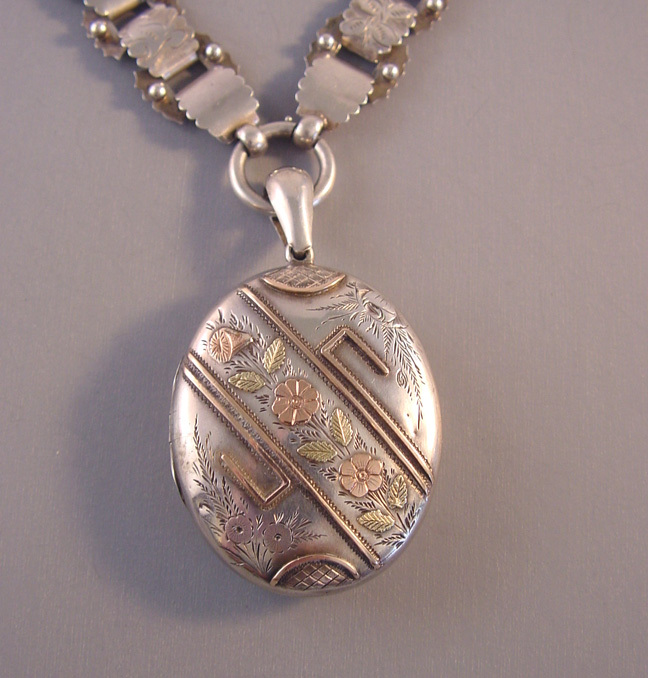 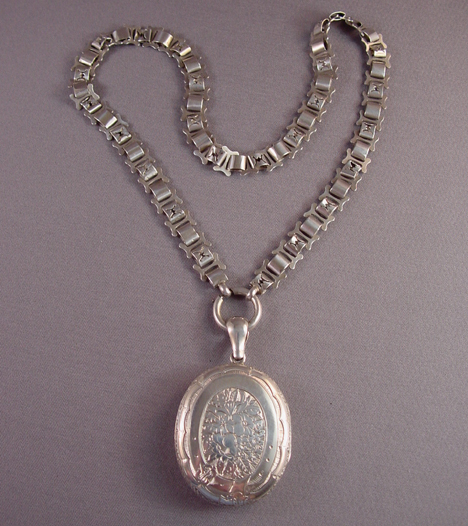 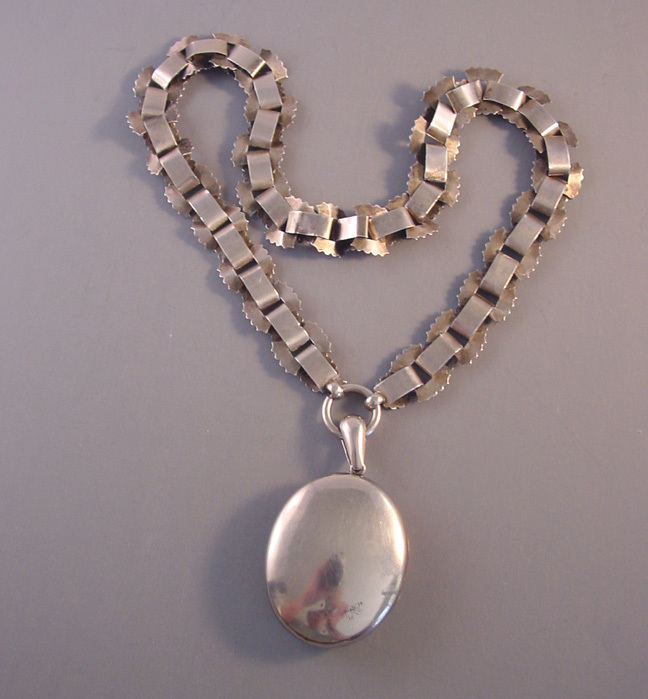 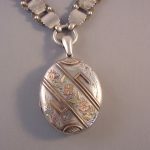 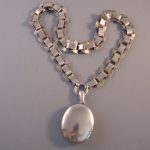 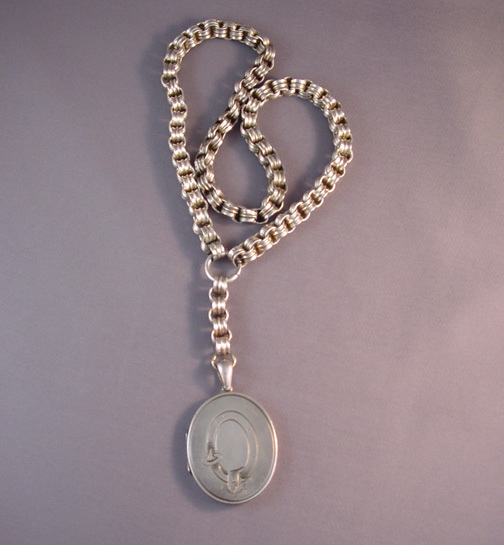 The locket itself 1-5/8" by 1-1/2", the collar 17" by 1/2" wide, and the connecting loop and bail 1". 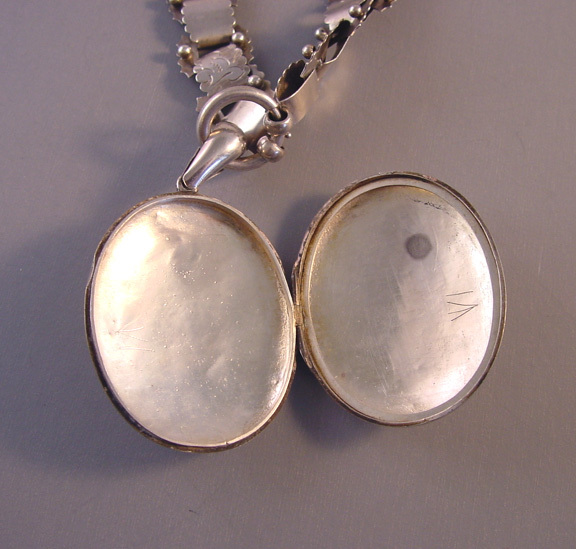 There is one ring to hold a photo inside but no glass cover. 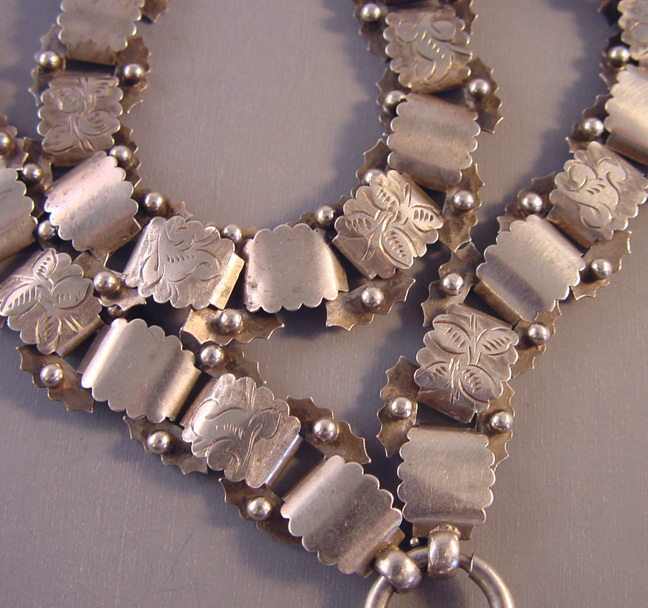 The collar has alternate etched leaves and scoring designs.